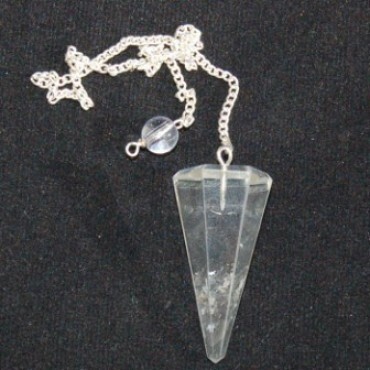 Crystal Quartz 6 faceted Pendulums with golden chain can be used to clean and charge other crystals. It cleans the negative vibes and fills you with positive energy. Avail this pendulum from Natural Agate.